There is often a colourful story behind a stamp. Sometimes, the images on these tiny pieces of paper tell a tale that could help us to learn more about who we are and where we come from. 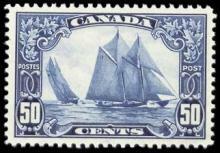 This new series will explore the stories behind some of the most famous and classic Canada stamps.